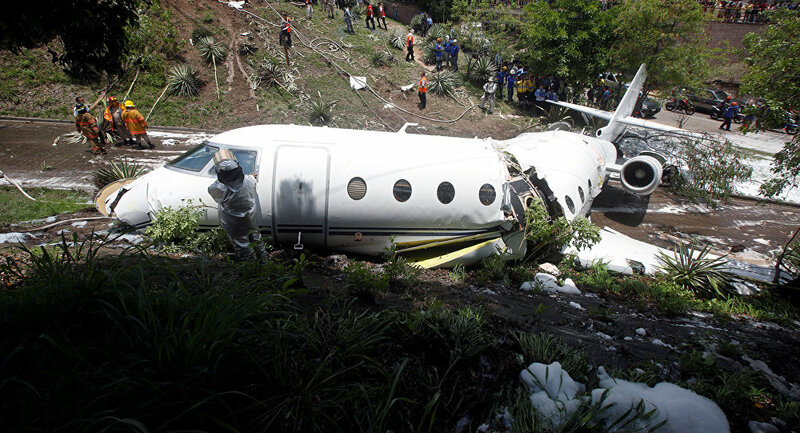 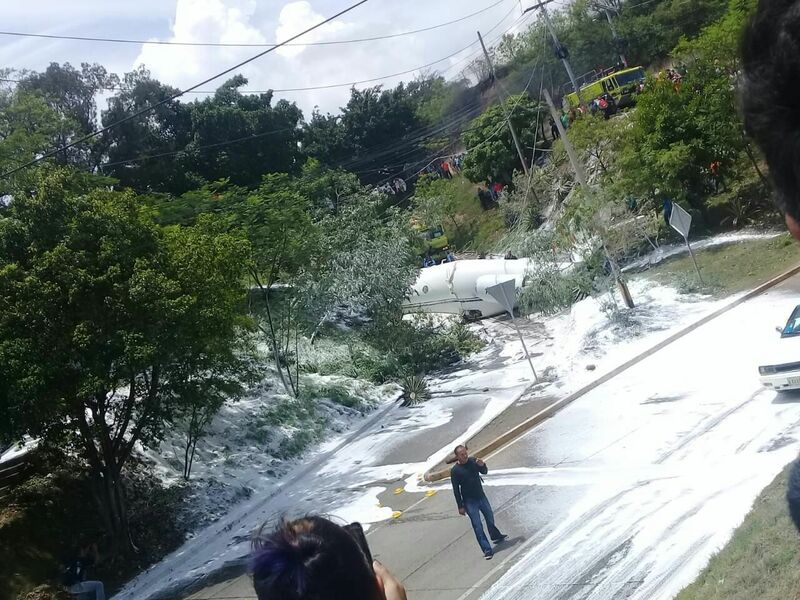 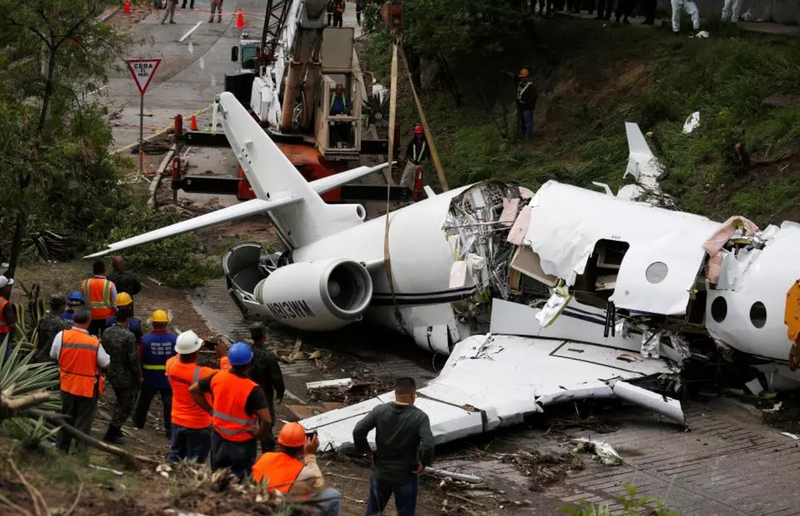 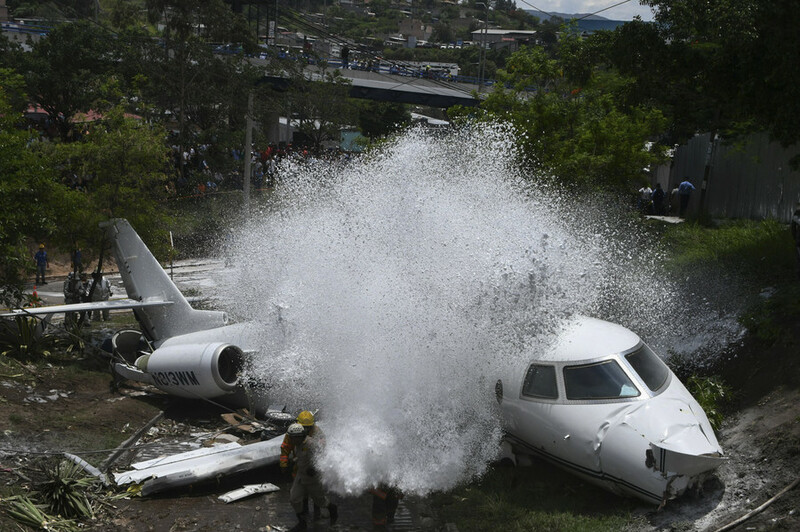 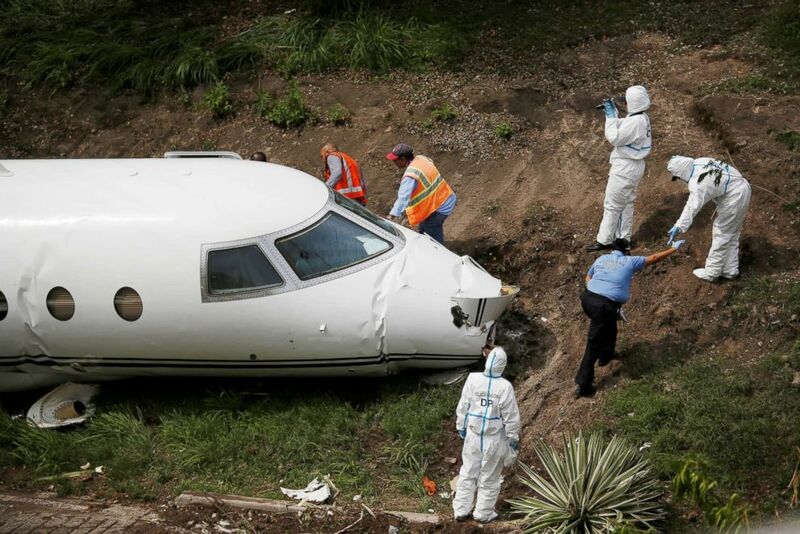 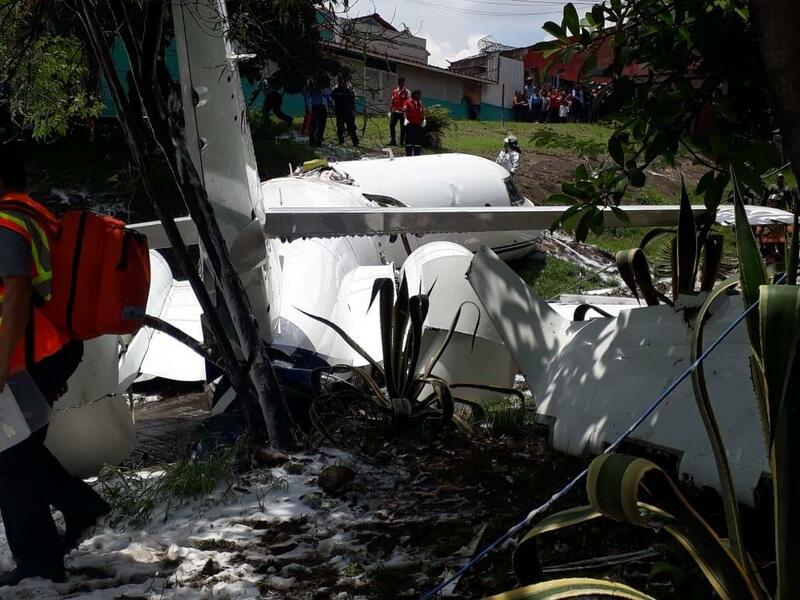 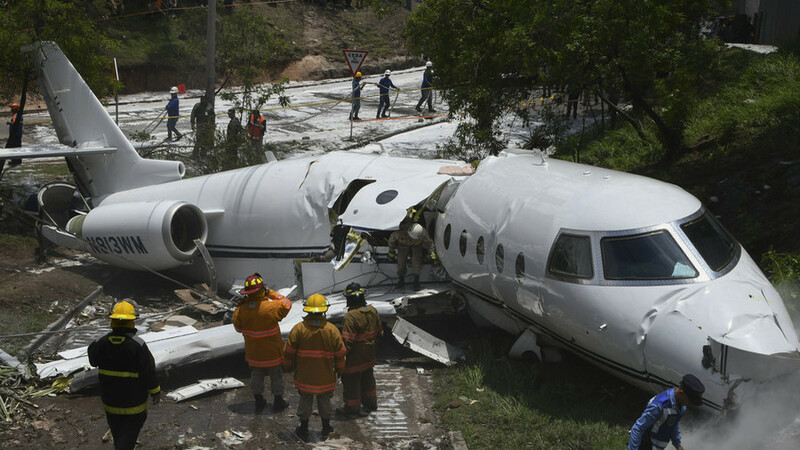 After landing on runway 02 at Tegucigalpa-Toncontin Airport, the airplane encountered difficulties to stop within the remaining distance and overran. 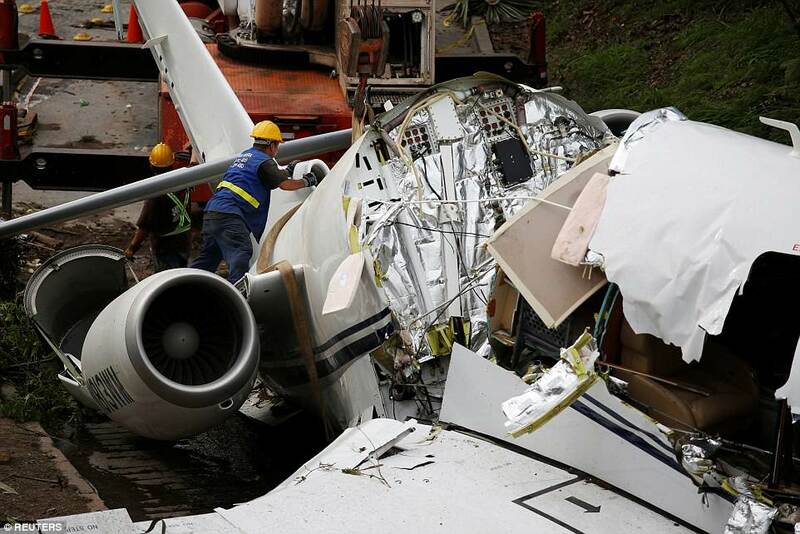 It came down an embankment, crossed a road and came to rest against another bank, broken in two. 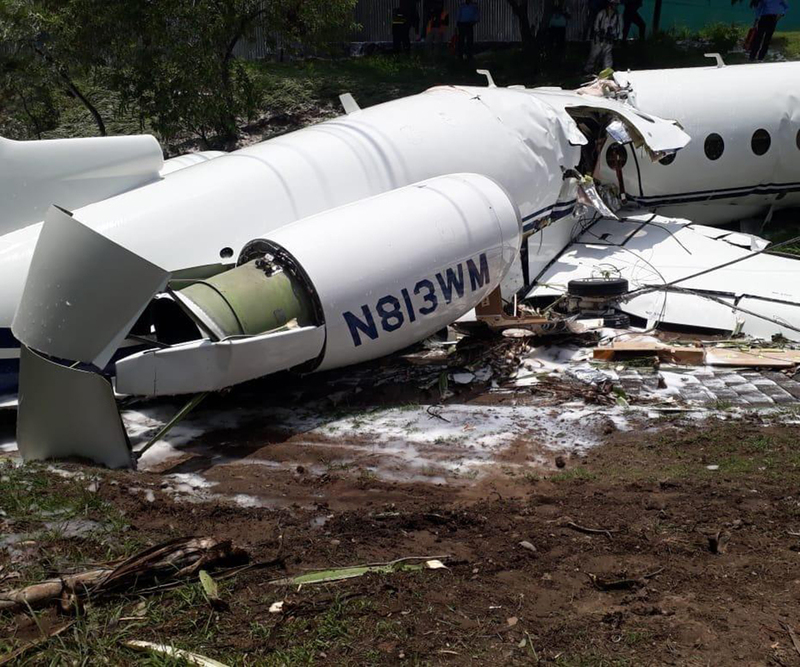 All seven occupants were injured and the aircraft was destroyed.